I work at Sandhills Development, the parent company for cool plugins like AffiliateWP, Easy Digital Downloads, and Restrict Content Pro. 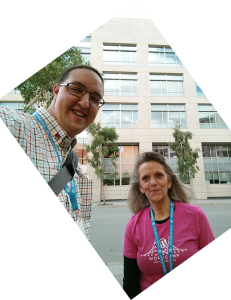 Until 2019, I was heavily involved in the WordPress community, contributing to the core, documentation, and meta teams. As a core developer, I contributed to 19 consecutive major WordPress releases from 3.3 to 5.2. I’m not currently available for freelance projects, though I absolutely recommend hiring a Codeable expert instead. They absolutely know what they’re doing and I’ve only ever heard great things from anyone I’ve sent there. They’ll take excellent care of you. If you’re just aching to get in touch with me directly, send me a message.